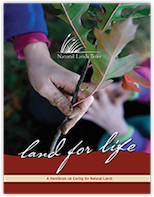 Co-editor, Land for Life, a Handbook on Caring for Natural Lands (Natural Lands Trust, 2d ed. 2014). (1st ed. 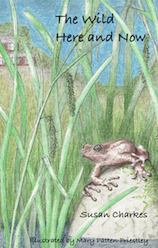 published as Stewardship Handbook for Natural Lands in Southeastern Pennsylvania, 2009). I do business and nonprofit communications (writing and editing), including grantwriting, reports, newsletters, press releases, catalogs, brochures, educational and marketing materials. See more at Arkosic Associates, LLC. "[wrath of pansy]" in Scripta, Spring 2019. "Lot's Wife" on What Rough Beast, 26 Nov 2017. "I Am Not Who I Am," on What Rough Beast, 21 Feb 2017. 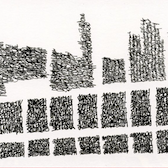 "Site-Specific Grid," in Denver Quarterly, vol. 51 no. 2 (2017). "Giant Steps": in (dis)honor of Dada's 100th anniversary. Two poems, in The Wax Paper, Issue Four (2016). "The Out Years," in the inaugural (Summer 2016) issue of The Matador Review, nominated for Best of the Net. Honorable Mention, 2015 Spoon River Poetry Review Editors' Prize for "There Are Rumors"
2 poems in Posit, Issue 8 (2015) (one of which was nominated for Best of the Net). 3 poems in Arsenic Lobster Spring 2015. "How to Move a Mountain" and "I Stand At Your Gate and I Sing You a Song" in Gargoyle, Issue 62. "Hollows" and "To Catch the Ocean in Your Bucket..." in Cleaver Magazine, Issue 6. Honorable Mention, 2013 Spoon River Poetry Review Editors' Prize for "Conveyance"
"Wading," in Prick of the Spindle, vol. 7.2 June 2013. "Three Conversations", in Apiary 5, December 2012. "Pech Merle: Negative Space,"included in "Making Magic: Beauty in Word and Image," exhibit at the Michener Museum of Art, November 3, 2012-March 31, 2013. 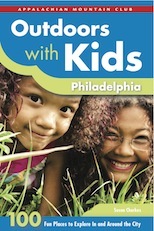 "In Her Garden" and "Poets Walk" published in Spring 2012 Schuylkill Valley Journal. 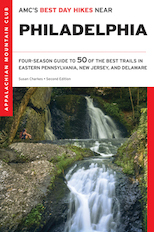 "Walking Up Buttermilk Falls,"published in Spring 2012 U.S. 1 Worksheets. "Snowflakes" and "Flower Girl", published in Spring 2011 Schuylkill Valley Journal. In the Wawa, published in Fall 2010 Schuylkill Valley Journal, nominated for Pushcart Prize.